Whether you want to prioritize the processes or not, managing your businesses time and money needs to be at the top of your mind in day-to-day operations. You might prefer focusing on your product, your advertising, your promotions, or your client relationships, but time and money have to come first, or none of those other things will be efficient for even applicable. And not everyone has the natural capacity for organizing time and money. If you feel like you fit in this category, consider some of your options for helping yourself out. You always need to create a budget. You can use time tracking as a model to help with your efficiency. Installing project management software can be immensely beneficial to your company. And, if you have a method to get feedback from employees, it will help keep you on the straight and narrow when it comes to finances and schedule management. 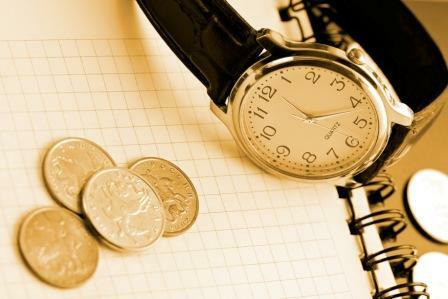 When you take time to manage your finances, you are marrying the ideas of time and money management together. A budget has deadline components in it, which means that you have to think critically about how much money you have, how much time it takes to make more, and how much time it takes to pay certain debts off. There are always bills. There are always purchases that you have to make. When you have them assigned to an official budget and then combine that budget with an official calendar, suddenly you’ll start to have the trappings of a meaningful and scheduled organizational system. You can almost always do things more efficiently. There is a point of diminishing returns after a certain amount of effort goes into it, but it’s still useful to use time tracking as a way to establish time management. Time tracking can be for small activities or large ones. You just have to be consistent about how you start and end, and you have to make sure that you understand that time and effort are not always necessarily threaded together in specific activities. When you install project management software that fits your budget, you would be amazed how much more efficiently your entire team starts making use of their time. If everyone is on the same page, decisions get established more quickly and more accurately respecting all of the data that is required to make an intelligent choice by a team member. If you’re in a management position, you may not entirely see what goes on concerning day-to-day operations. That’s why it’s essential to rely on your employees or potentially even coworkers to give you feedback about how time and money is being used on that lower level. The more that you pay attention to the people who are in the thick of it, the better your decisions are going to be at upper levels.